When you need to modify a Purchase Order after it has already been sent to your supplier, you would typically process a Change Order in SpendMap. 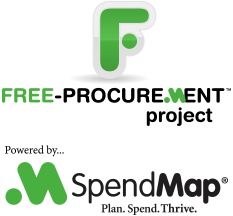 In order to communicate to the supplier that this is a modification to an existing order rather than a brand new order, SpendMap will print “Change Order” rather than “Purchase Order” at the top of the form. You will also see a “revision number” that will increment each time the order is changed (e.g. PO #1000-1, 1000-2, etc.). What about changes that don’t impact the supplier? While it’s common to use a Change Order when making changes that will affect your supplier, such as a quantity or price change, there are times when you may not want to bother informing your supplier that an order changed. For example, it might not make sense to notify your supplier in this way if you just need to change the account coding or other “internal” fields that are of no concern to your supplier.